I photograph almost exclusively with a raw workflow and edit in Lightroom. I just can’t get used to Canon’s clunky Digital Photo Professional even for mundane tasks. The downside of all this is that when Canon releases new lenses it may take a few months for Adobe to add new lens correction data, particularly for the less popular EF-M lenses. Thus, I have gone through the rather arduous process of creating a few custom lens profiles using Adobe Lens Profile Creator. When I am completely satisfied with a profile I will share it with Adobe so it can be downloaded via the Lens Profile Downloader, but I will also post interim and final profiles here. Custom Lens Profiles are supported in Adobe Camera Raw and Adobe Lightroom. To install a custom lens profile, download the appropriate .ZIP file, decompress, and copy the .LCP file to either of the following locations. 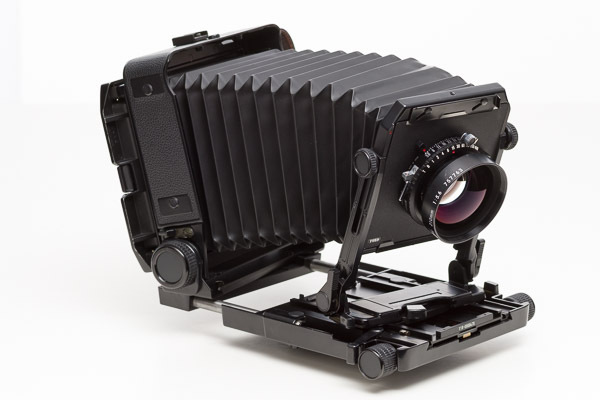 In university, while seriously starting to pursue photography, I was enamoured with owning either a medium format or large format camera system. 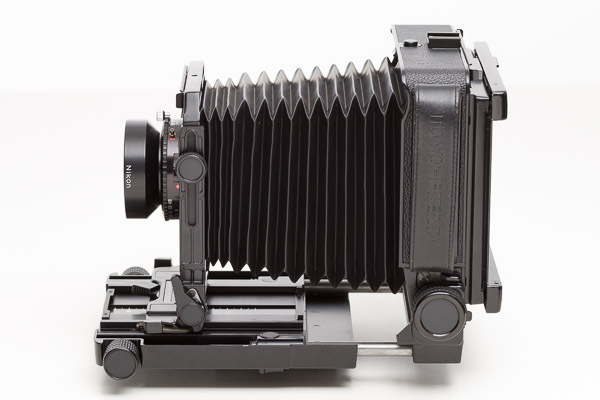 My preference was for a Hasselblad 501CM, but that was out of my price range. 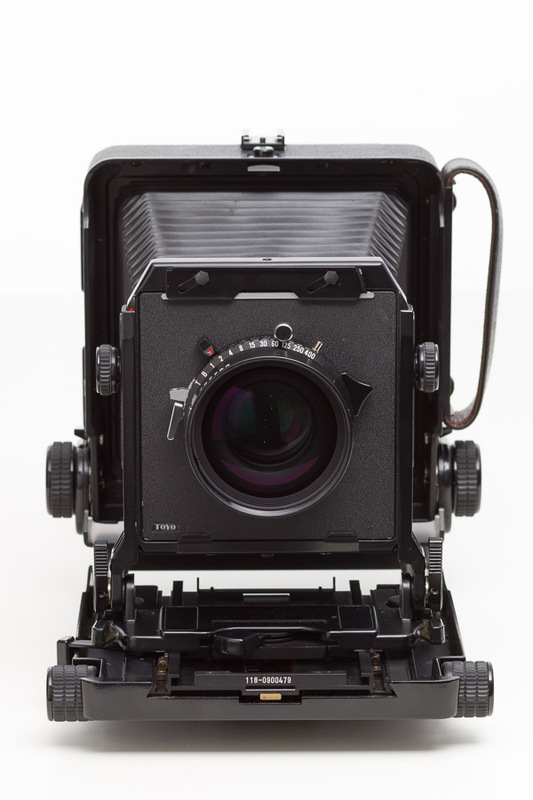 Somehow I discovered Toyo-View, a small Japanese manufacturer of large format cameras. Their Toyo-Field 45 AX folding field-camera was relatively inexpensive. The idea of shooting huge 4″ x 5″ transparencies was very appealing, as was the myriad of camera movements and perspective controls that a large format camera offers. The field camera body has less extreme movement than a studio rail camera, but is also a much more compact outfit. I needed compactness as I planned to shoot not only studio work but large format landscapes as well. Around 2000, I got the Toyo-Field 45 AX with a Nikkor W 210 f/5.6 “normal” lens and later picked up the amazing Nikkor SW f/4.5 super-wide angle (equivalent to 55mm and 24mm in 135 film format respectively). I have eight double-sided 4×5 sheet film-holders, but it is unlikely that I could actually make 16 exposures in a single day of landscape shooting. I also have a Horseman 6x9cm 120-format roll film holder too, for those times when I do need to expose a lot of film (e.g., exposure bracketing, in the studio, etc.) and don’t mind a bit of crop factor. I always intended to buy a large-format digital back to use with this outfit, but large-format backs never became affordable. Instead smaller sensors increased in resolution and smaller lenses improved in resolving power. In 2016 I purchased a Fotodiox 4×5 sliding back adaptor which allows me to make stitched multi-row panoramas using my EOS bodies as a sensor behind the Toyo-Field 45 AX. The image area is about 6.75×4.5cm with the Fotodiox back. With this digital setup I cannot focus my Nikkor 90mm at infinity (it makes a nice close-up lens though) and the Nikkor 210mm is a bit long. On the hunt for a moderate wide-angle, I finally mounted my old Schneider Componon 135mm f/5.6 enlarging lens, which has incredible resolving power, on a recessed Toyo lens-board. The resulting 180 megapixel images are incredibly detailed. 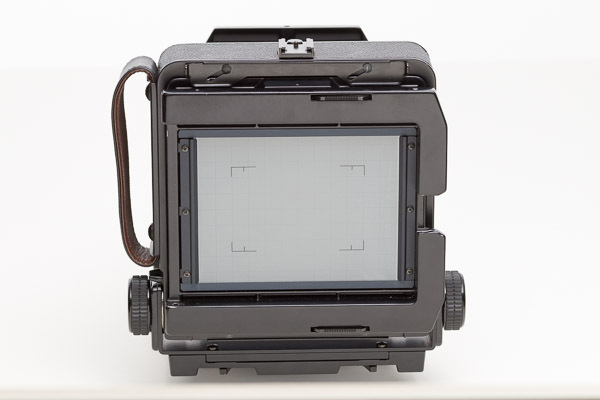 The process of shooting with the 4×5 camera, adjusting the mechanical movements, and composing under the dark cloth on the ground glass focusing screen, is a truly unique experience. When I was still shooting positive transparency film in the Toyo-Field 45 AX, but had shut down my darkroom, I purchased an Epson Perfection 4990 Photo flatbed scanner (released 2005). 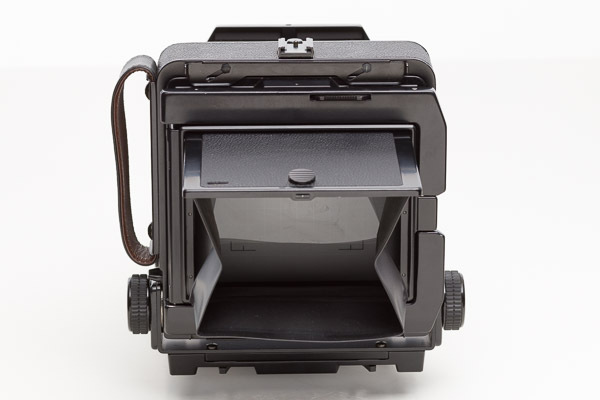 This scanner came with a transparency adaptor and holders for 35mm film strips, mounted 35mm slides, 120 film strips, 4×5 sheet film, and 8×10 sheet film. It is a great scanner and I still regularly use it with Silverfast Ai Studio scanning software. (I recently switched to using my EOS M3 as a copy stand camera for digitizing slides — better resolution and dynamic range than the flatbed scanner). I replaced the PowerShot S110 with a Canon PowerShot G7 X in late 2014. 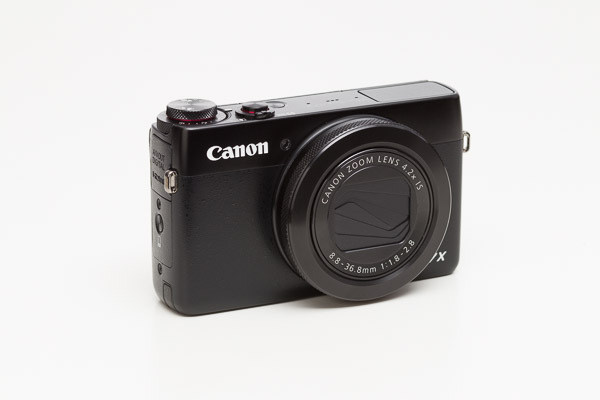 The PowerShot G7 X features a much large 1″ type sensor and at 20.2 megapixels is light years ahead of the PowerShot S110, but with almost no physical size penalty. It also has a tilting touchscreen and Wifi, a fast (f/1.8-2.8) 24-100mm equivalent lens, and maintains the control ring introduced in the S90. There is really only one reason I bought the PowerShot G7 X in the first place — my daughter. About to have a baby, I figured I could justify a hi-quality compact camera purchase for capturing those once in a lifetime moments that were about to happen. I haven’t been disappointed. The PowerShot G7 X has also been a great travel and back-country camera. This is still my go-to camera when compactness is required. At the end of 2016 I was sorely tempted to upgrade to the PowerShot G7 X Mark II, but I told myself I would only buy the Mark II or the Canon EOS M5, but not both. I got the EOS M5. 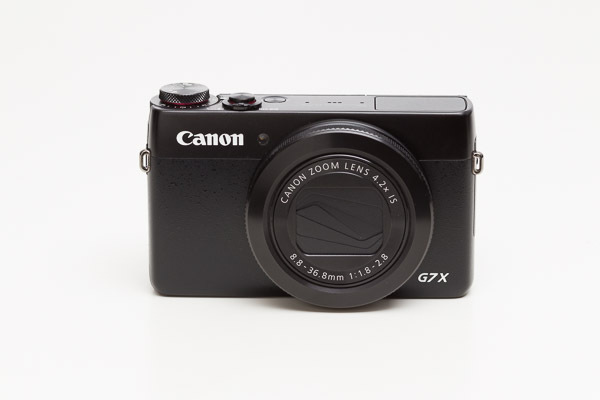 I wrote a short review article of the Canon PowerShot G7 X. 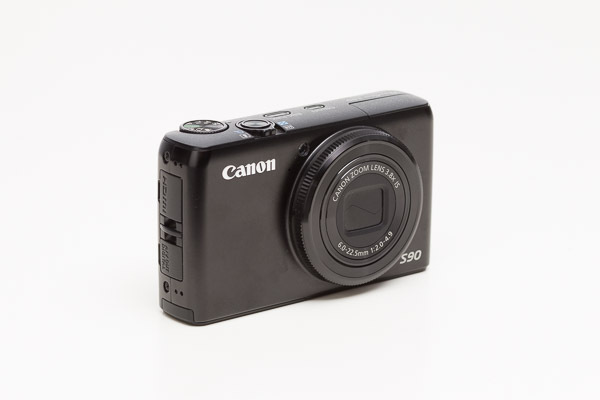 In 2012 I replaced the PowerShot S90 with a fantastic upgrade — the Canon PowerShot S110. The S110 features a 12.1 megapixel sensor, DIGIC 5 processor, touchscreen, and Wifi — all features I put to good use on its inaugural trip, two weeks in India. I fitted the PowerShot S110 with a MagFilter magnetically attached circular polarizer. This accessory was very handy for capturing the vibrant colours in India and Argentina. I should really install one on my Canon PowerShot G7 X. 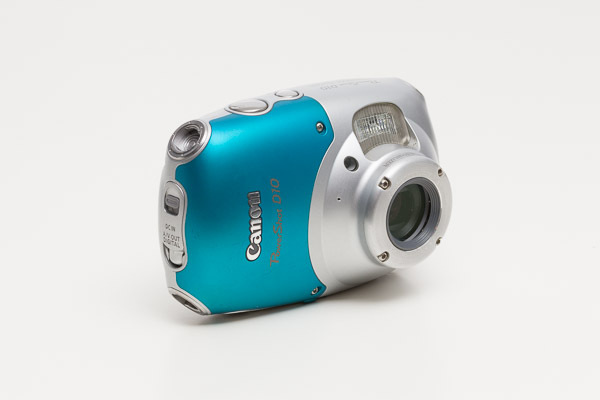 Released in 2009, I got the rugged and waterproof Canon PowerShot D10 to use primarily on my canoeing adventures. 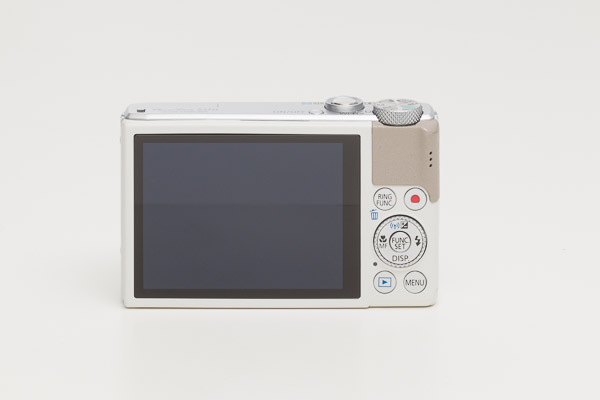 It is a rather bulky and odd looking compact camera, but it has worked well. Many times I looked at upgrading to the D20 or D30, but couldn’t justify the expense for very little gain. 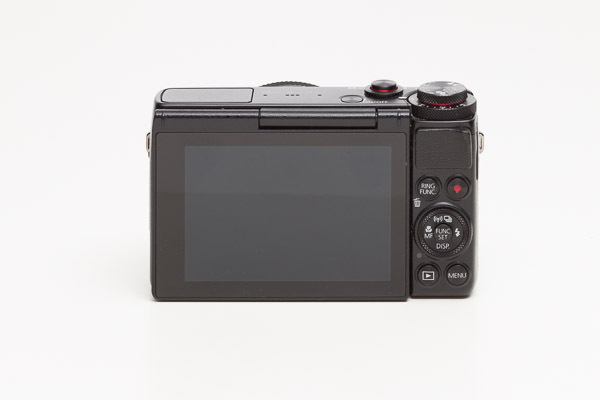 The compact camera market (with the exception of the the high-end) has basically disappeared and manufactures are no longer innovating in this space. 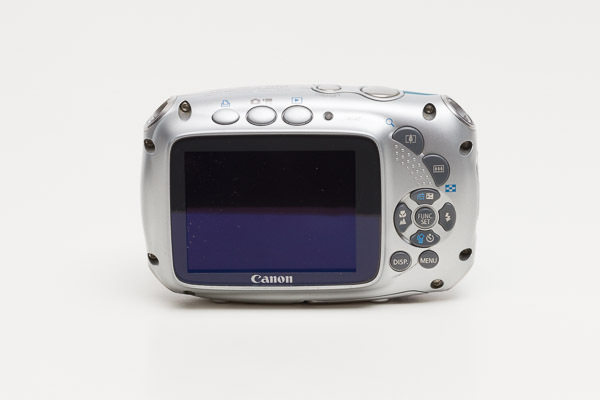 I’ve considered rugged/waterproof models from other manufacturers, but find the JPEG quality to be total mush compared to Canon. I’d love the ability to shoot RAW in a waterproof camera, but this does not seem like a feature manufacturers are willing to add. I’ve basically replaced the PowerShot D10 for casual rugged/waterproof use with my iPhone 6S in a LifeProof FRĒ case. 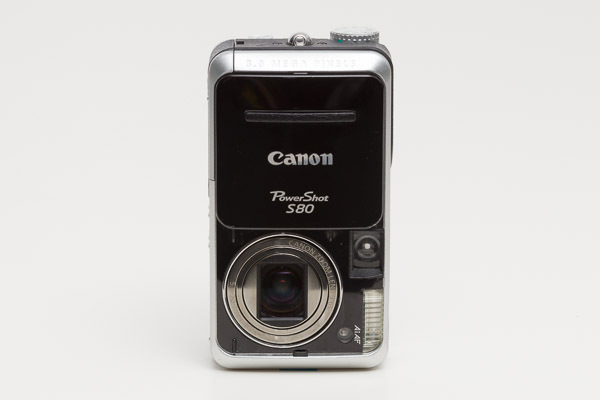 It was not until 2009 that Canon released the successor to the PowerShot S80. 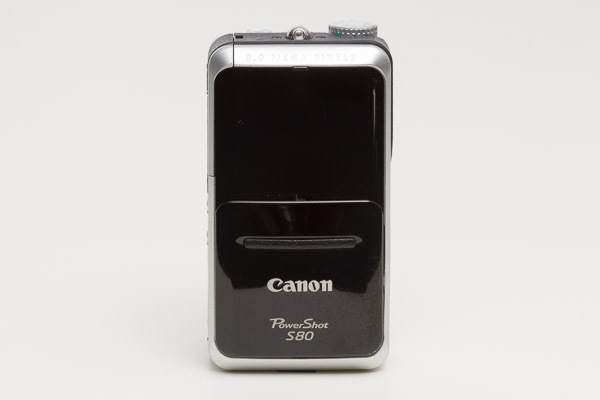 The PowerShot S90 featured a much slimmer design than the PowerShot S80, but, as the Canon Museum states, was a “conceptual continuation” of its predecessor, featuring a wide zoom lens and convenient manual controls. It also introduced a feature for which I was overjoyed: RAW files. A unique addition on the PowerShot S90 was the control ring which encircles the lens barrel. This ring can have its function assigned in software and its use varies by camera mode. 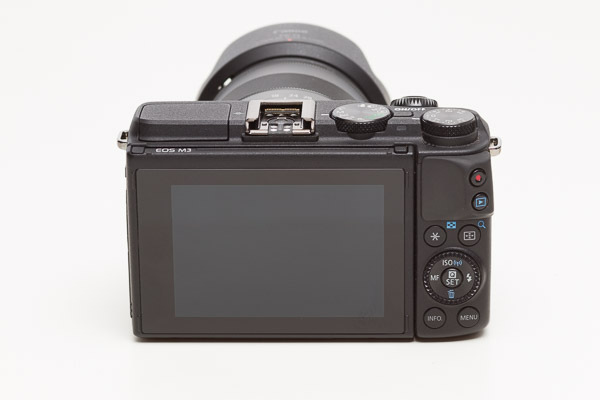 The control ring continues in a new form on the Canon EOS M5 as a multifunction dial and selection button combination. I never had a compact point-shoot film camera for casual use. I always wanted full manual control, and if I needed a really compact camera (say for backpacking) I used the Rollei 35 B I inherited from my dad. In the digital era my dad had a whole string of Canon Digital ELPH cameras. Though very compact I could never bring myself to buy one myself. 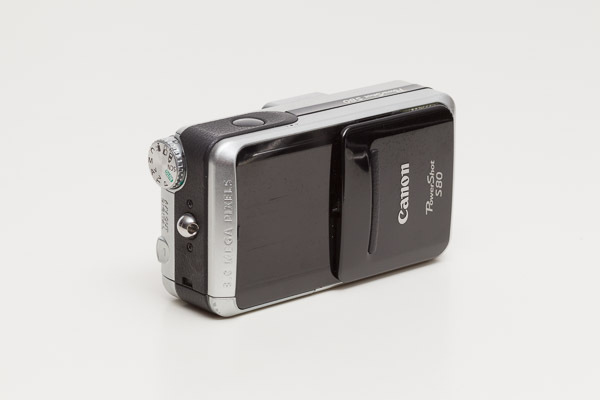 The larger Canon PowerShot G-series cameras of the time on the other hand seemed like the worst of both worlds — smaller than a DSLR, but still not pocketable and without the ability to change lenses. 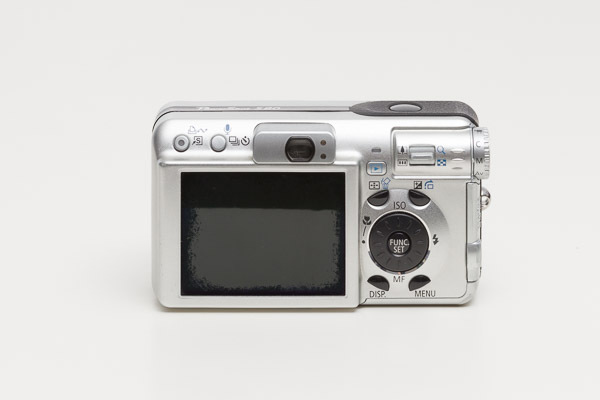 In 2005 I discovered Canon’s PowerShot Sxx series of advanced compact cameras. The series has always feature cameras slightly larger than the tiny compacts, but with better quality wide angle zoom lenses, and, of prime importance to me, full manual control. I purchased the PowerShot S80 (released in 2005) as a compact travel and nature photography camera. It joined me on a lot of adventures and captured a lot of shots rivalling what others were creating with DSLRs. The one drawback of the PowerShot S80 was the lack of RAW files. 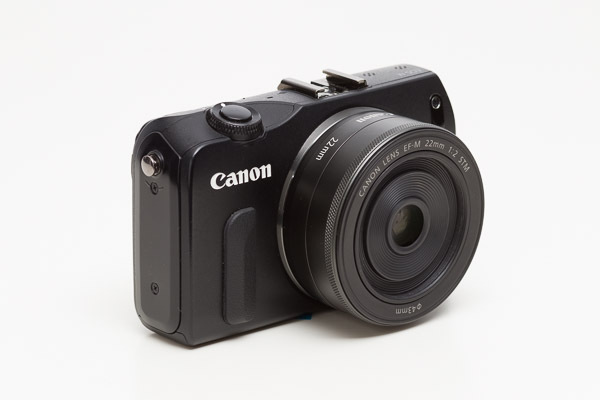 In late 2106, Canon released the Canon EOS M5 addressing a long -standing feature request in the M-series — a built-in EVF. The EOS M5 also adds dual-pixel phase-detection auto-focus (DPAF) which considerably improves AF speed, particularly for adapted EF-mount lenses. 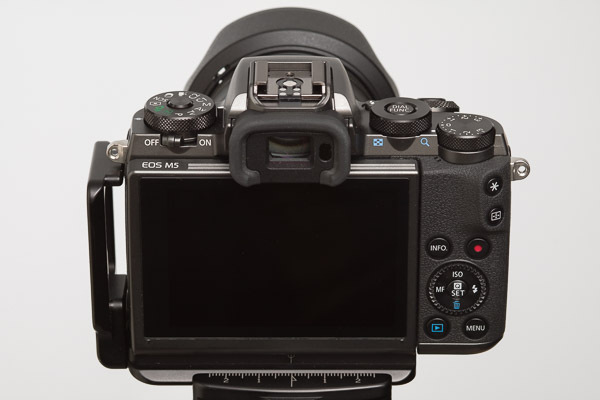 Overall the EOS M5 body has a more DSLR-like feel than it’s predecessors, with a larger body, more pronounced grip, additional control dials, and a more customizable physical interface. And yet, the body retains the compactness and portability that is the hallmark off the line. Along with the EOS M5 body I added the Canon EF-M 18-150 f/3.5-6.3 IS STM lens (released 2016) to my suite of EF-M lenses. I also added a Tamron SP AF 150-600mm f/5.0-6.3 Di VC USD G2 lens to my collection. This is the first non-Canon professional lens that I have purchased. Tamron (and Sigma) are currently making amazing lenses with performance rivalling the major camera manufacturers and with much lower prices. The Tamron 150-600mm is surprisingly hand-holdable mounted on the EOS M5, though it becomes a bit unbalanced at full 600mm extension (though that is more a function of the centre of gravity being so far in front my lens holding hand). The eye-level viewfinder of the EOS M5 coupled with the long telephoto lens required a larger, more stable tripod, so I acquired the beautifully light Manfrotto MT055CXPRO3 carbon-fibre legs. 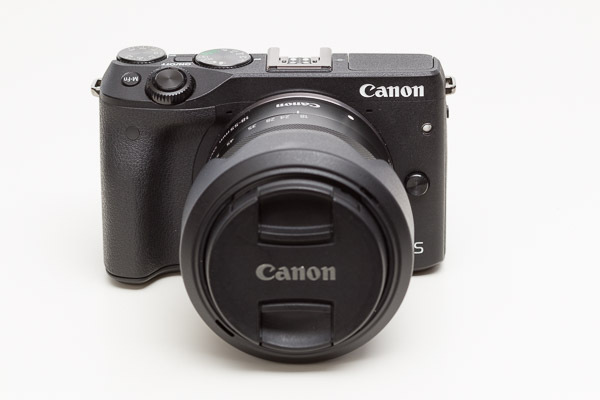 I wrote a hands-on review of the Canon EOS M5. 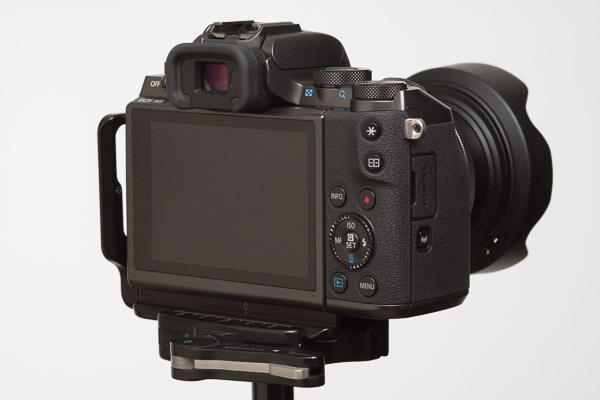 The M3 features a 24 megapixel sensor, dedicated exposure compensation dial, larger grip, an optional hot-shoe mounted EVF, and more DSLR-like handling. The body is larger than the original M, but still compact. Focussing and overall speed are improved in the M3, though continuous shoot is stilled maxed out at 4.2 frames per second (much worse in Servo AF mode). I quite enjoy shooting with the M3. Having to attach or remove the EVF is a bit of a pain. However, I really appreciate the tilting function of the EVF, especially when working on a compact tripod, or shooting from low angles. With the M3 I added the EF-M 55-200mm f/4.5-6.3 IS STM zoom lens (released 2014) to my collection. In 2015 my family moved to a new house. Desiring to photographically document the interiors of both the old house and the new house, I added two Canon Speedlite 6OOEX-RT flashes and a compact stand set to my collection. The radio transmission (RT) multi-flash setup has many advantages over the old optical transmission system, especially when line of sight is a concern. I paired the new Speedlites with a compact stand and umbrella kit from Photo Republic and on-flash modifiers by Roque Flash. 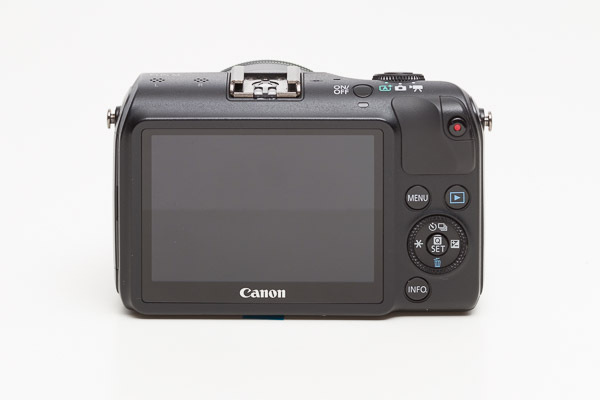 Prior to the release of the Canon EOS M5 I wrote an article which is essentially a review of the M3: What Do You Want to See in the EOS M System? 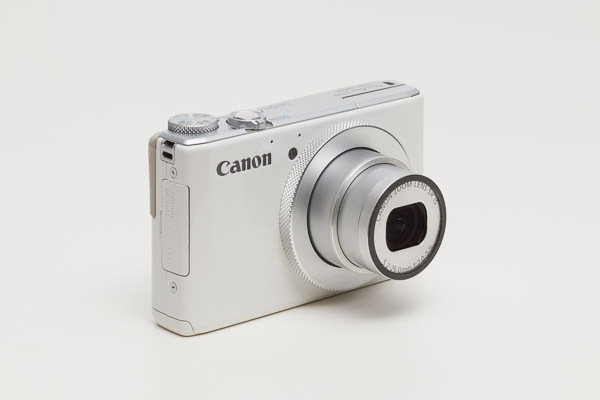 When Canon introduced its first compact mirrorless interchangeable lens camera (MILC), the EOS M, in 2012 I was instantly intrigued. 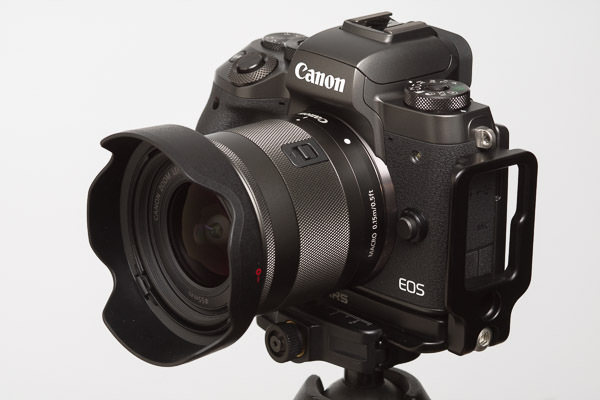 The compact body and new EF-M mount lenses promised DSLR performance without the bulk. I always loved the speed, usability, and quality of my SLR and DSLR cameras, but never enjoyed the bulk. Too often I would choose not to carry a camera anytime space and weight were a premium (travelling, backpacking, canoe tripping — you know, all those times one might want to record some photographs). For many years, if I did carry a camera, it was usually in the form of an iPhone, or a compact digital camera. 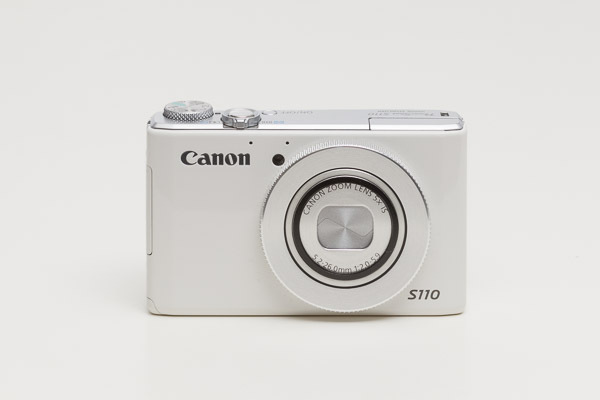 The EOS M body is not much bigger than the S90 or S110 I was using at the time. It also features a touch screen that I had grown accustomed to via the iPhone. While many reviewers and would-be buyers bemoaned the EOS M’s lack of electronic viewfinder, I had no problems shooting with just the fixed rear screen. 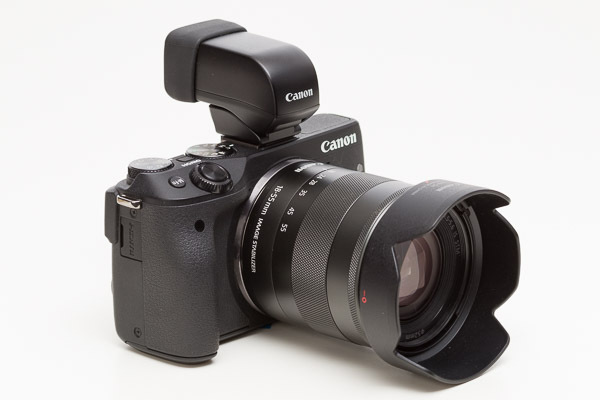 The EF-M lenses introduced with the EOS M are compact and of sufficient quality. 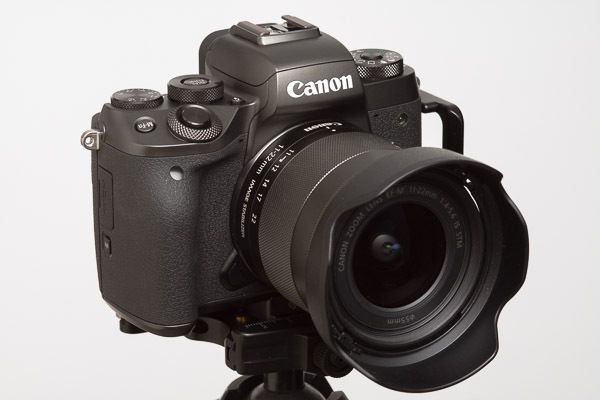 I could also use my Canon EF lenses via the EF-EOS M adapter. The biggest downside of the EOS M was its glacial focusing speed, especially with adapted lenses. This was fixed to some degree by a firmware update that sped up focusing with EF lenses by about 50%. 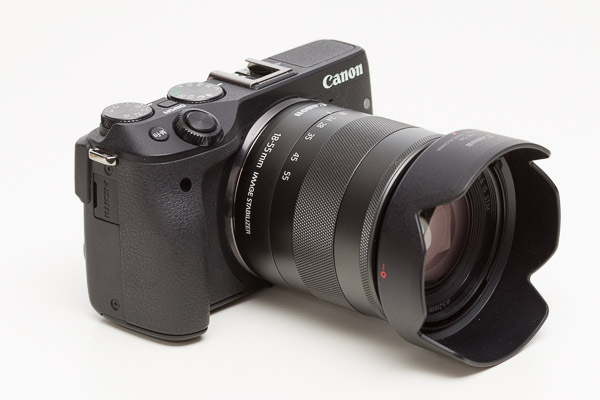 I purchased the EOS M in a kit with the EF-M 18-55mm f/3.5-5.6 IS STM standard zoom lens (released 2012). I also purchased the EF-M 22mm f/2 STM pancake lens (released 2012), and EF-M 11-22mm f/4-5.6 IS STM ultra-wide zoom lens (released 2013). Additionally, during the time I was most actively using the EOS M, I added the Canon EF 85m f/1.8 USM (released 1992) and EF 8-15mm f/4L Fisheye USM (released 2011) lenses to my collection. 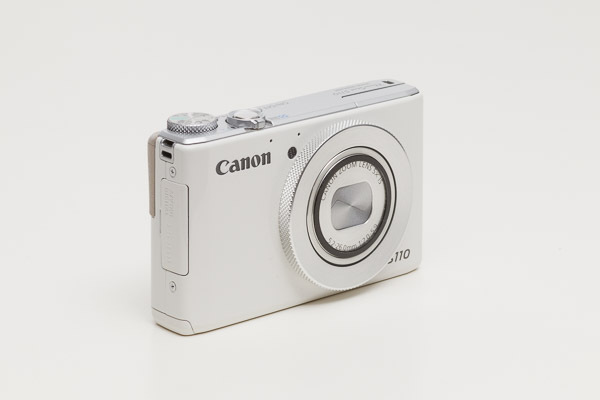 The EOS M lacks a built-in flash but was announced with the Canon Speedlite 90EX compact flash. I almost never use the 90 EX as an on-camera flash by itself, but it can work as a hot-shoe mounted optical wireless master controller for other Canon Speedlites, the mode in which I usually use it. 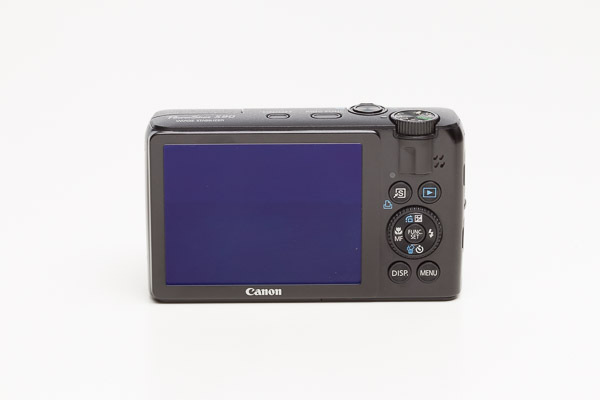 All flash settings, including slave flash settings, are configured on the camera touchscreen in a very intuitive UI. 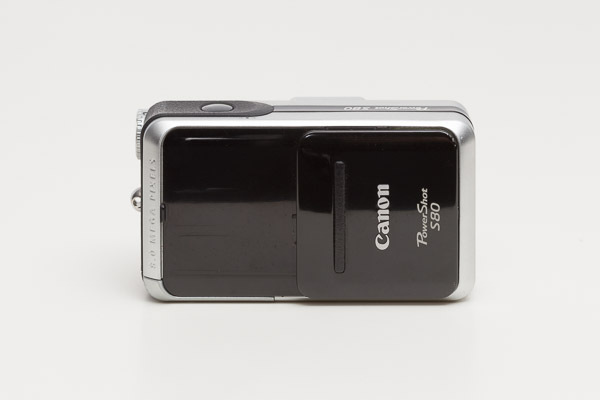 At half the price of the Canon ST-E3-RT Speedlite Transmitter the Speedlite 90EX is an attractive option for optical wireless multi-flash setups. The EOS-M series reignited in me a passion for photography.